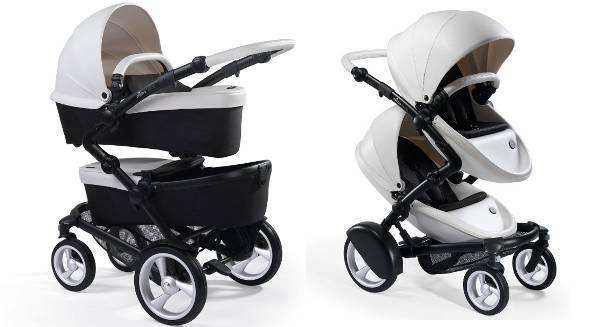 Lauded as an intelligent pram, the Mima Kobi will adapt to your growing family, all while looking incredibly stylish. 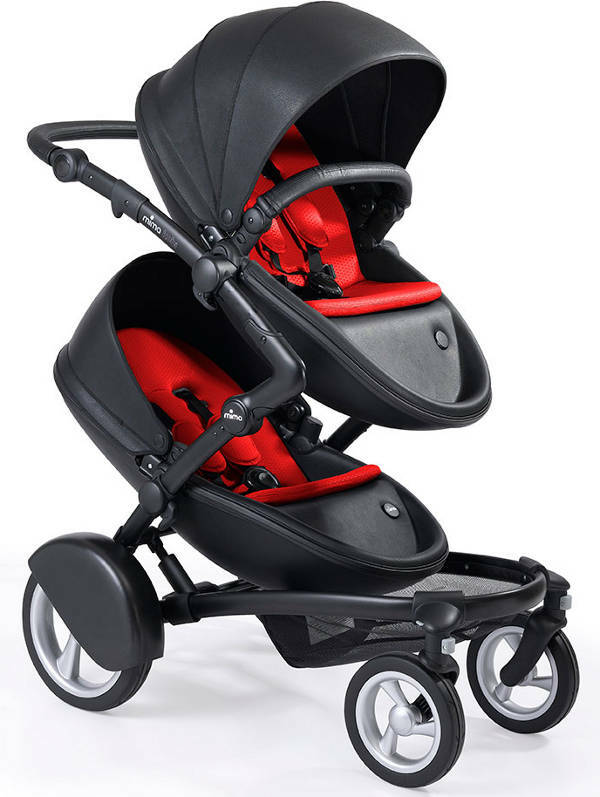 Whether you have one baby, a toddler, two babies, two toddlers or one of each – this pram will see you through. Most of us have precious little time to research dozens of prams, and are loathe to spend up big on two or three different variables to suit our growing families. 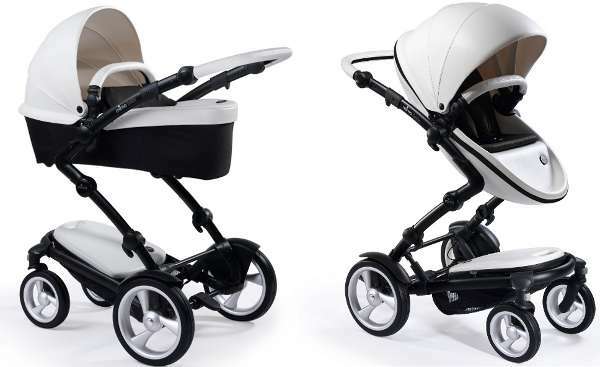 So the Mima Kobi slots very nicely into the market for those wanting a sleek and beautiful pram that will evolve with expanding families. The Mima Kobi “carrycot inside” system means the Kobi can be used as either a carrycot or a pushchair. 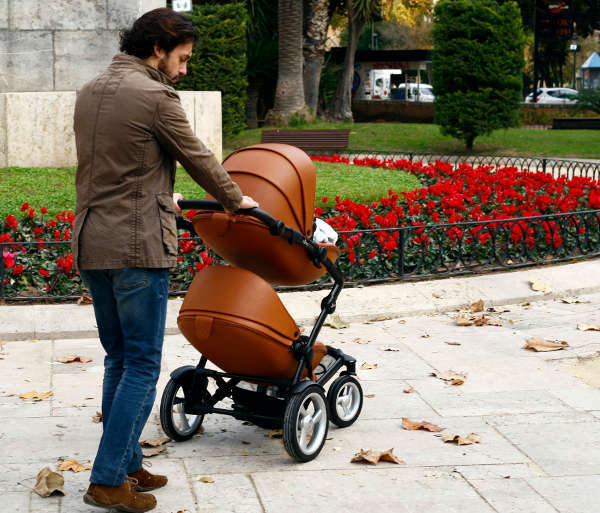 Now here’s the clever bit – when not in use the carrycot is stored inside the seat unit. Hidden zips mean the transformation from carrycot to seat and back again takes only fifteen seconds. The versatile pram can accommodate one carrycot, one seat, two carrycots, two seats, one carrycot and one seat or one or two car seats. The pram has a very distinctive and modern look, thanks to the EVA material that also gives a firm, protective ‘shell’ for babies. Mima tells us the unique barrier properties of the material also make it hygienic – it is easily wiped clean after any baby messes. The optional twin seat, which is sold separately, gives a twin solution – for two babies or two toddlers. The Mima Kobi has a reversible seat, and the seat has three incline positions. You may think a pram with all of these incredible features would be bulky and heavy, but think again. A full fold is easily achieved with the press of a button and lift of lever. The fold is then secured by a small clip on the chassis. With the wheels and seat attached the pram still weighs in at less than fifteen kilograms. And even with two toddler aboard, it still guides smoothly across many urban terrains. 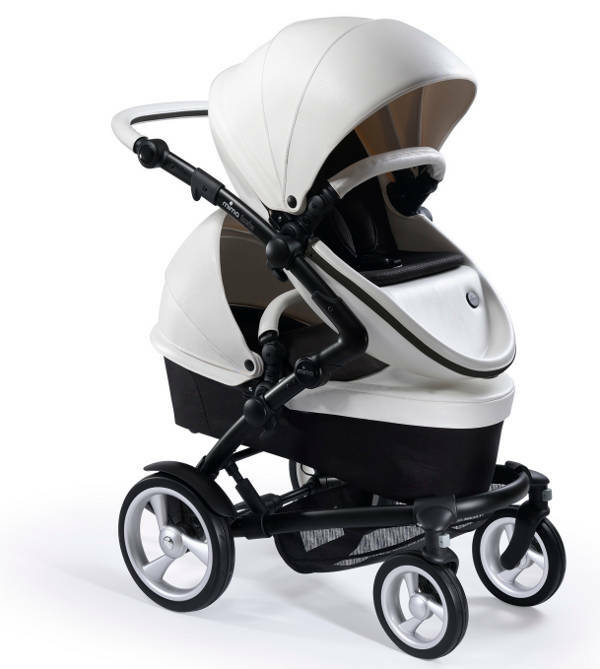 Priced from $1399, the pram can be ordered directly from Mima.